My parents always said that I would cartwheel everywhere when I was younger and now I guess I've stepped it up a notch. My vice these days is busting into handstands whenever I feel the need to stop, drop and yoga. 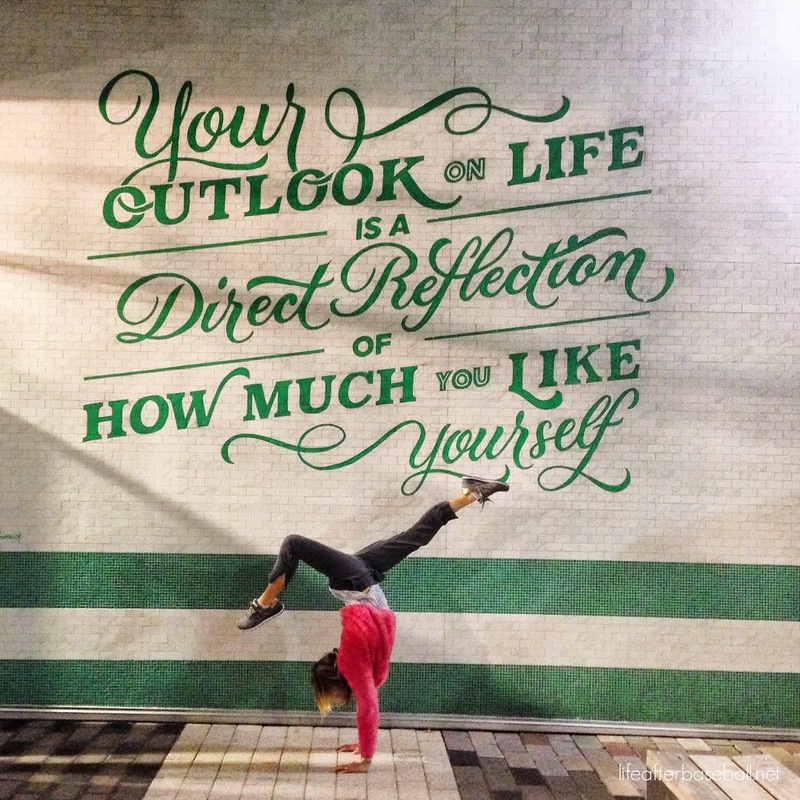 I've passed by this wall at lululemon many times, too many to count according to my husband...but this one particular night I felt that doing a handstand in front of it would make this picture just a tad more fun and I'm all about having more fun this year. It is only appropriate to share this saying with everyone since I think we can always use some strong, motivating words to kick off the nuevo ano. DANG girl!!! That's just amazing! I've not done yoga in ages and would love to get back to it some time! Super cool pose. I'm impressed! Great quote and picture! Nailed it, sis! Love it! I also love your new mantra for the year. I think I will join you. Life is much too short to not have fun doing it! I think you should submit this for a commercial!